A simple and flavorful shredded pork recipe, that is multi-purpose! Try it in a taco or on a sandwich. Place the pork roast into the base of the slow cooker. Season with salt and pepper. Sprinkle the taco seasoning and lime juice over the top. If your slow cooker “runs hot” and dries out meals, add 1/4 to 1/2 cup of water. Set the slow cooker on low and cook for 8 hours. Shred the pork roast when it’s finished cooking. Assemble nachos with corn tortillas chips, shredded pork and shredded cheese.Top with chopped cilantro garnish. If needed, place in the microwave or oven to melt the cheese. 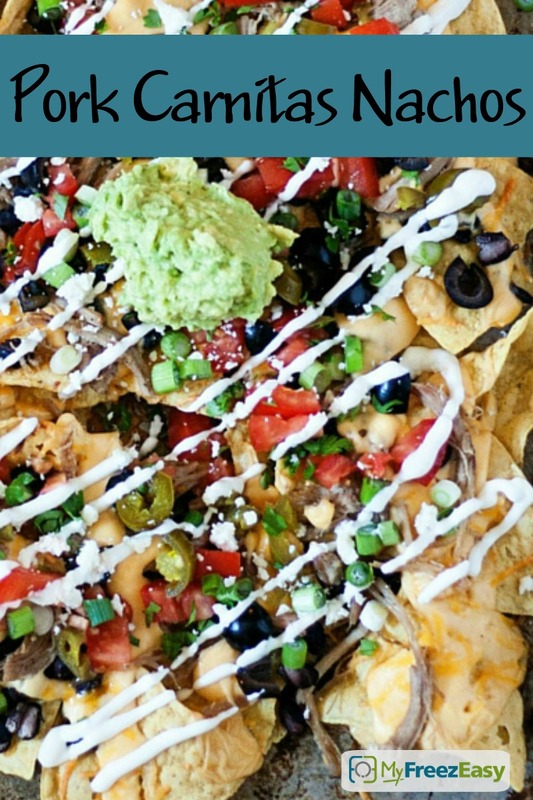 Serve Slow Cooker Pork Carnitas Nachos with side of veggies. Put baggie in the freezer and freeze up to 6 months in fridge freezer or 12 months in a deep freezer. Thaw in the fridge overnight, or a warm bowl of water for about 20 minutes, before transferring to the slow cooker, adding 1/4 to 1/2 cup of water and cooking on low for 8 hours. Recipe is dairy-free when you omit the shredded cheese. Thaw and add content of baggie to slow cooker. Add 1/4 to 1/2 cup of water and slow cook on low for 8 hours. 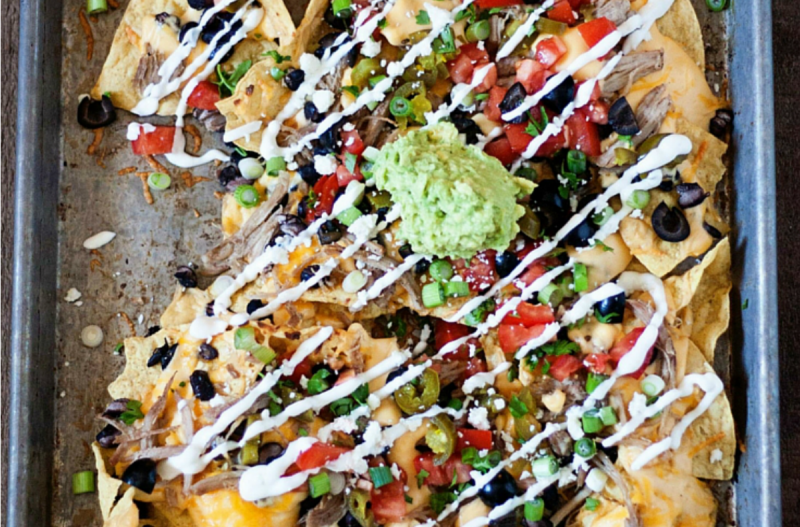 Shred pork and then assemble nachos.